Former Portfolio Manager-Mainstream Lager, Nigerian Breweries Plc, Emmanuel Agu has been appointed as the new Group Marketing Director of JOTNA Nigeria Limited. The marketing guru joined JOTNA in December, 2018. He is also expected to manage an array of brands including La Casera Apple drink, Smoov Chapman, Bold Bitter Lemon, Nirvana Range of Water (Premium Table Water, Soda Water and Tonic Water); just as he has the responsibility of leading teams of talented Marketers to develop and build iconic brands and deliver high growth plans against key priorities. Agu started his career at Guinness Nigeria Plc; a subsidiary of Diageo Company as a Graduate Management Trainee-Marketing in 2002 and he rose through the ranks to become the Marketing Manager-Lager (Harp & Satzenbrau) & Malt (Malta Guinness Classic and Low Sugar) brands in 2011. He later moved to Nigerian Breweries Plc, a subsidiary of the Heineken Company in 2013 as a Marketing Manager-Lager (Gulder & Life Continental Beer) and Stout (Legend Extra Stout) brands. 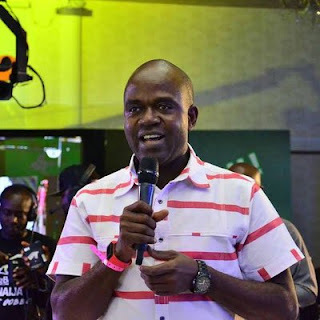 Agu left the Heineken Company as the Portfolio Manager-Mainstream Lager (Goldberg, Life, 33, & More) & Stout (Legend, Turbo King & Williams) in 2018 before joining JOTNA Nigeria Limited as its Group Marketing Director. He has over 17 years’ experience in Consulting and FMCGs (JOTNA, Diageo and Heineken Company) and he is a well-rounded Business and Commercial Leader with strong track record across brand communication/experiential strategies, portfolio profitability, insight generation that has delivered strong ROI on cutting-edge innovations, and high performing team leadership.